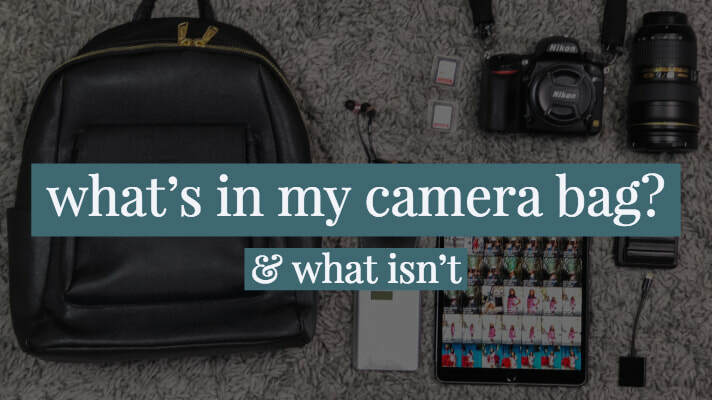 what’s in my camera bag for a weekend trip? Starting this weekend, I’m kicking off an exciting winter full of trips across the country! First, I’m headed to Pittsburgh with my friend and travel buddy Emma of Emma’s Edition for a weekend content trip. Since we will be only there for 48 hours and will running around, capturing all of those Instagrammable spots around the city, I decided to pack my camera bag quite lightly and leave certain items at home for this trip. first off – what’s my bag? I get asked all the time what I use as a camera bag, and the answer is: tons of bags! That’s because I have the super awesome camera bag insert from Porteen Gear that transforms any bag into a camera bag. 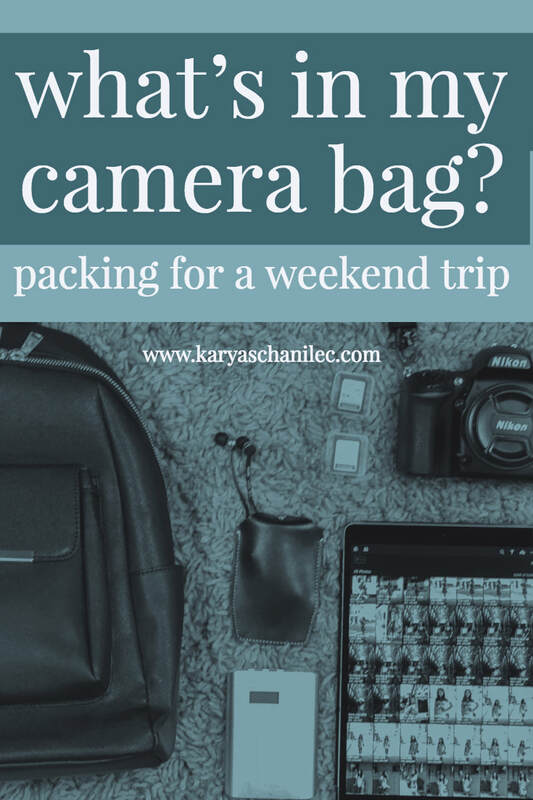 With it, I can pack my camera body and two lenses in just about any bag. 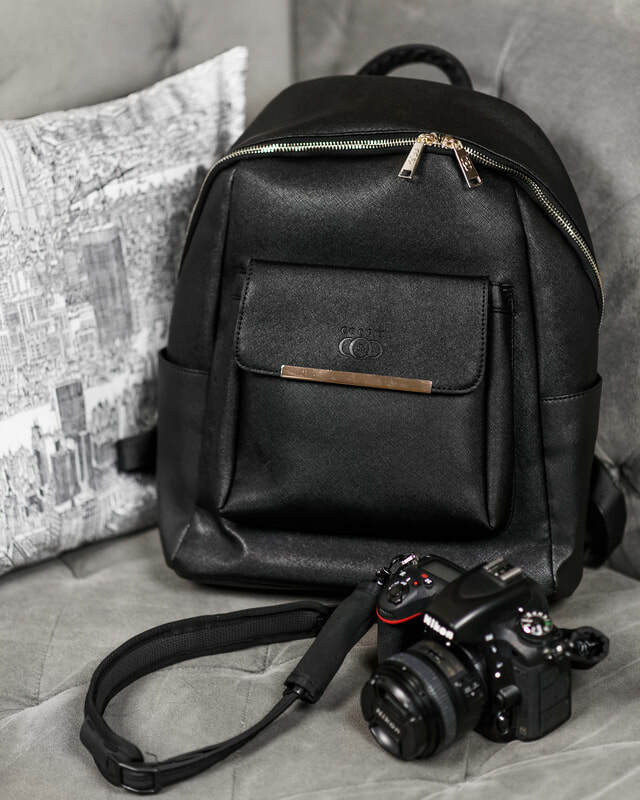 For this trip I am bringing one of my Coofit faux leather backpacks because of it’s size, low-profile shape, and weatherproof material. Disclaimer: This backpack was provided to me by Coofit but all of my opinions are my own. Camera – One of my trusty Nikon D750’s (I have two bodies now). Lenses – My go-to 50mm 1.8 lens for all thing portrait, plus my 24-70mm 2.8 lens for more environment shots of Pittsburgh. 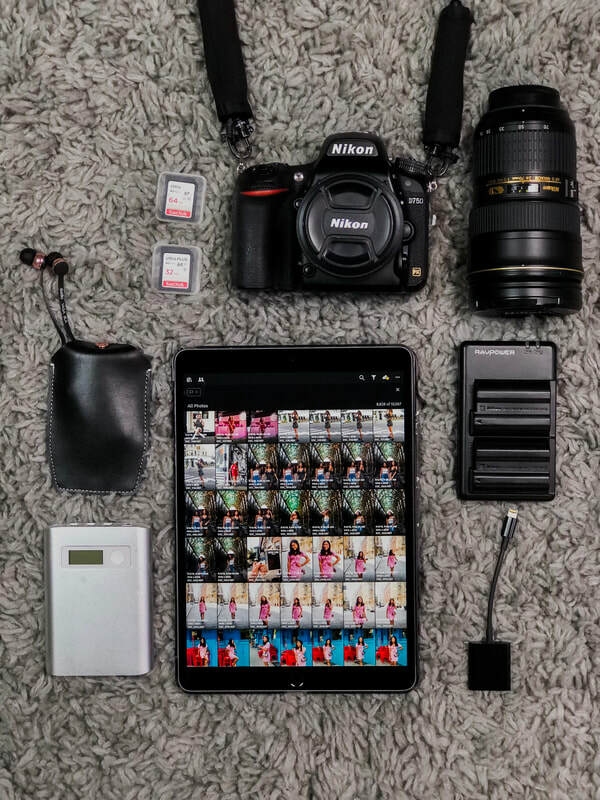 iPad – I do the majority of my editing these days on my iPad with Lightroom Mobile, so easy and convenient when traveling! Extra Batteries + Portable Charger – There’s something worse than your battery dying in a middle of a shoot or your phone dying when you’re trying to navigate a new city. I always make sure to pack extra camera batteries, plus a portable charger that can charge both my phone AND my camera batteries! Bluetooth Earbuds – Speaking of charging your phone, ever since I switched to the iPhone 8+, my biggest pet peeve has been that I can’t listen to music/podcasts AND charge your phone. An easy solution? These bluetooth earbuds from Sudio. More to come on these in a future blog post! Disclaimer: These earbuds was provided to me by Sudio but all of my opinions are my own. what’s not in my bag? Laptop – While I love using Photoshop to edit, I’m leaving my laptop at home and opting to just edit on my iPad with Lightroom. I talk more about my mobile editing process in this post. More than Two Lenses – Honestly I thought about just bringing my 50mm 1.8 with me, but decided to also bring the 24-70mm to capture wider shots of Pittsburgh. Based on the content I would be shooting, I knew I wouldn’t need a telephoto lens, which alleviates a lot of space and weight from my camera bag. Do you prefer to pack light or to maximize your packing? Let me know down below!